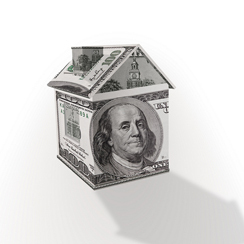 Is real estate a safe alternative to bonds? (MoneyWatch) With interest rates at very low levels, many investors want to know how they can get more yield. Some people turn to real estate (in the form of real estate investment trusts), thinking it may be a safe alternative to high-quality bonds. As we'll see today, that hasn't been an acceptable substitute. REITS, however, are definitely not substitutes for safe fixed income investments -- the annual correlation of REITs to 5-year Treasuries is actually negative, at about -0.2. How will stocks react to Hurricane Sandy? My colleague and "Right Financial Plan" co-author Kevin Grogan provides the following warning: If investors venture into these areas in search of yield, they should go in with their eyes open. It's almost a certainty that when you find higher yield, you've also found higher risk, whether you can identify the risk or not. When looking at the various high-yield alternatives, it doesn't take long to discover that they are risky. The table below shows the returns of these asset classes in addition to 5-year Treasuries during the last four quarters in which the S&P 500 Index was down at least 10 percent. As is often the case with risky strategies, they don't perform well when the markets are down. This evidence demonstrates that these asset classes are not replacements for buying treasuries, government agencies or AAA/AA rated municipal bonds. It also shows that among the alternatives presented, REITs tend to perform the worst, just when you need the safety of fixed income the most. Master limited partnerships represented by the Alerian MLP Index. Dividend-paying stocks represented by the Dow Jones U.S. Select Dividend Index. REITs represented by the Dow Jones US Select REIT Index. Preferred stocks represented by the S&P Preferred Stock Index. High-yield bonds represented by the Barclays Capital Corporate High Yield Index. Money house image courtesy of Flickr user 401(K) 2012.